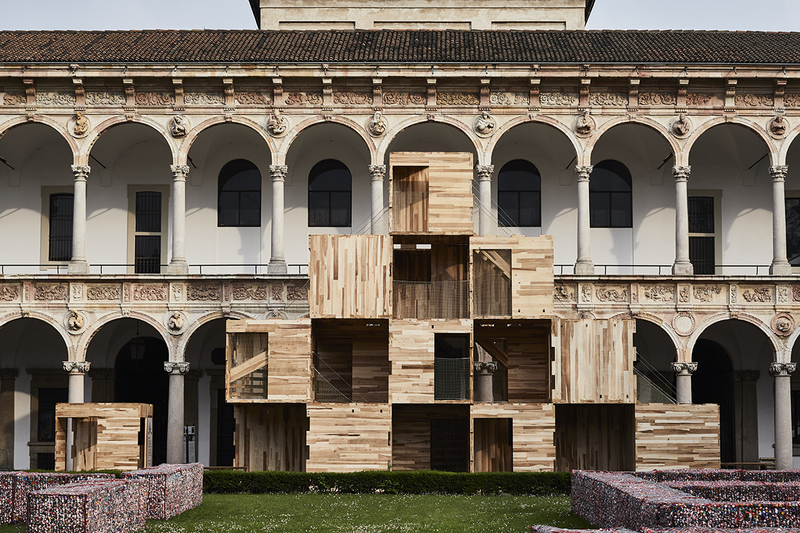 A series of unusual and experimental architectural installations at Milan Design Week 2019 and Salone del Mobile allows visitors the chance to get inside the minds of radical architects, designers, and artists from around the world. These pieces, made in collaboration with prominent Italian brands and historic venues, showcase not only great work by emerging design professionals and veteran acts, but also give attention to pressing themes facing humanity today, such as climate change and life in the ever-evolving digital age. Some of the projects simply bring beauty to the forefront, reminding visitors to look for inspiration in eclectic design. Check out some of AN’s favorite installations from the massive design event on AN Interior.